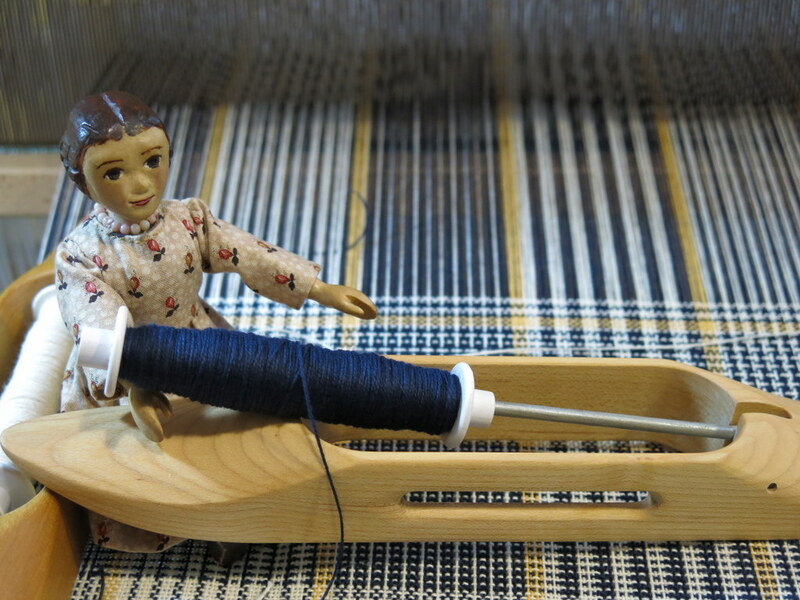 Constance helped me make a gamp, which is like a sampler in weaving. Click here to see what Interweave Press has to say about gamps. 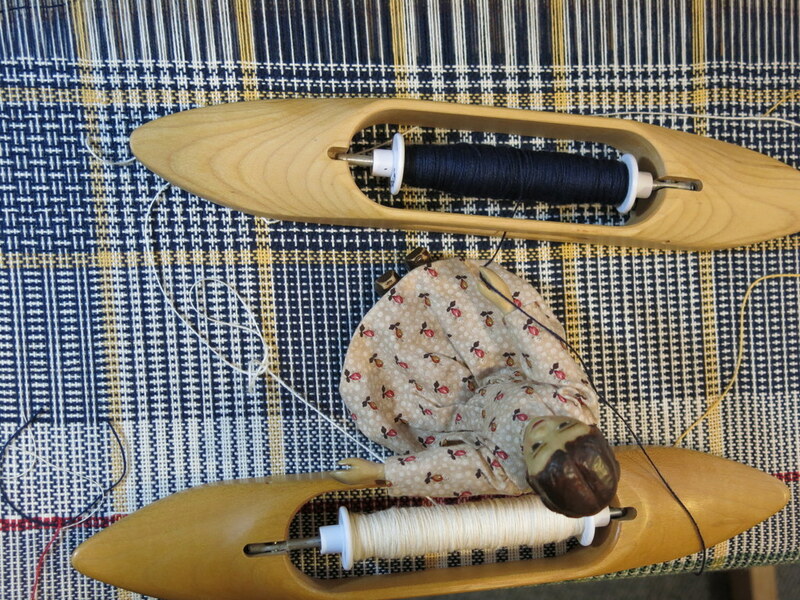 We are using two colours; seven different threadings for the warp; and the same seven structures in treadling for the wefts. 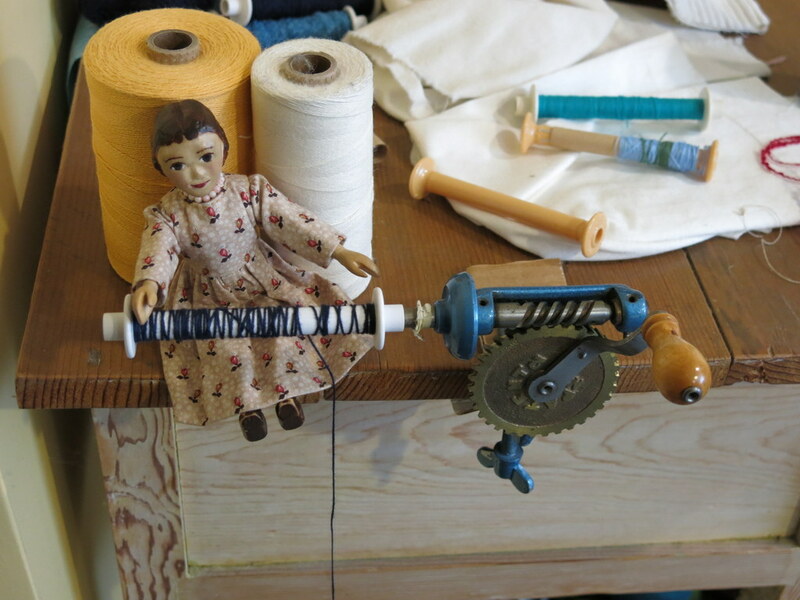 Constance helped wind a couple of bobbins so we wouldn’t run out in the middle of the gamp. 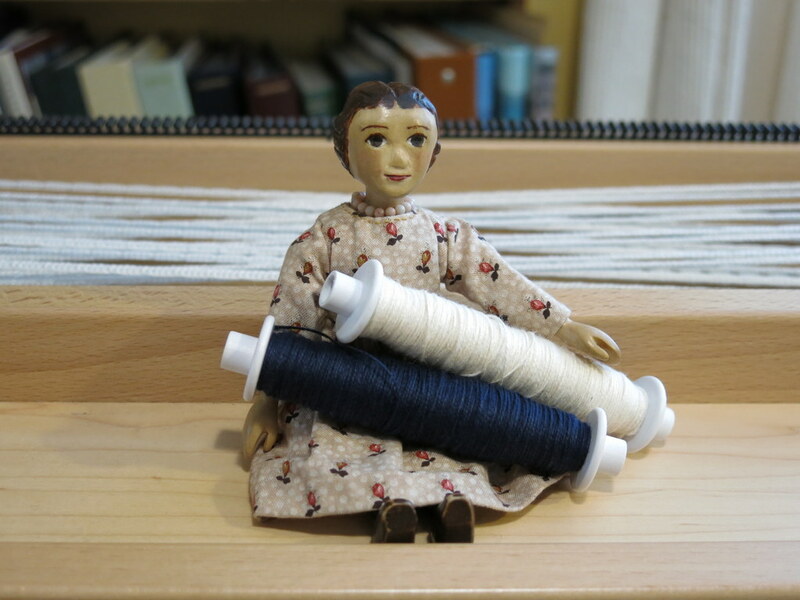 …then we overlap the old and new threads and continue weaving. 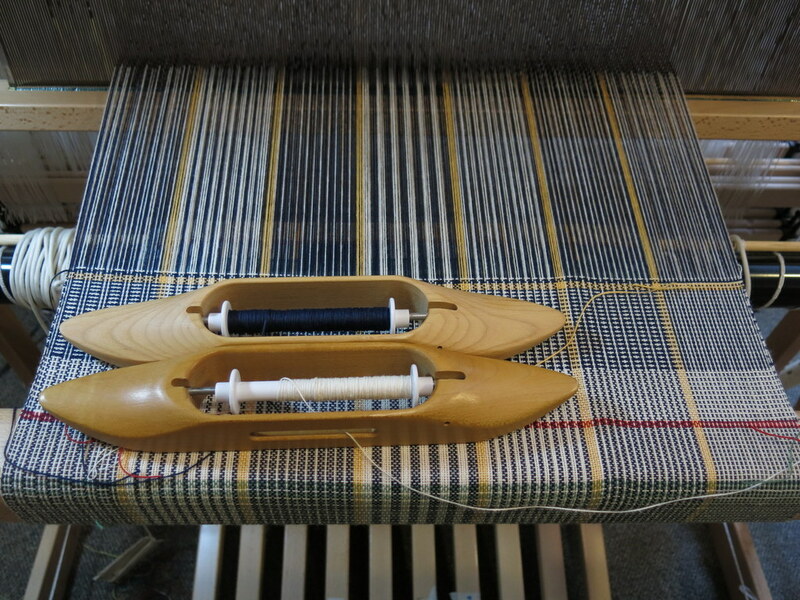 We had to pay attention and keep track of the patterns, but we got our bit done in a couple of hours…now we just have to wait for the last weaver to do the last section of warp before it can be cut off the loom! Thanks to our friend for letting us have a lovely morning of weaving at the end of her gamp warp! I doubt that there are many people on the planet who can work a loom like this. It must help that you have Constance working with you and checking out the pattern. Another pair of eyes. I find that when setting up to weave, and weaving, doing just one thing at a time makes it much less daunting! It is definitely true that having Constance around to help is invaluable! I confess that I read the link to describe Gamps….and am left totally befuddled…but quite admiring that I actually know someone who does understand it and can do it! I stand in awe of the Quimper human and Constance!!! It is one of those things that is much easier to do than to explain! 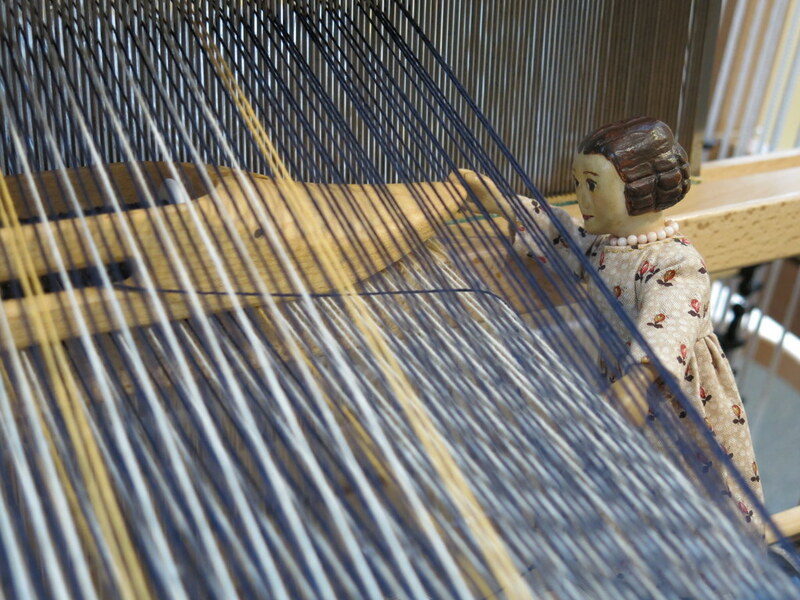 Constance – and her human – are doing a lovely job of weaving, the colours are beautiful. Gamps are such a fun way to explore new patterns. 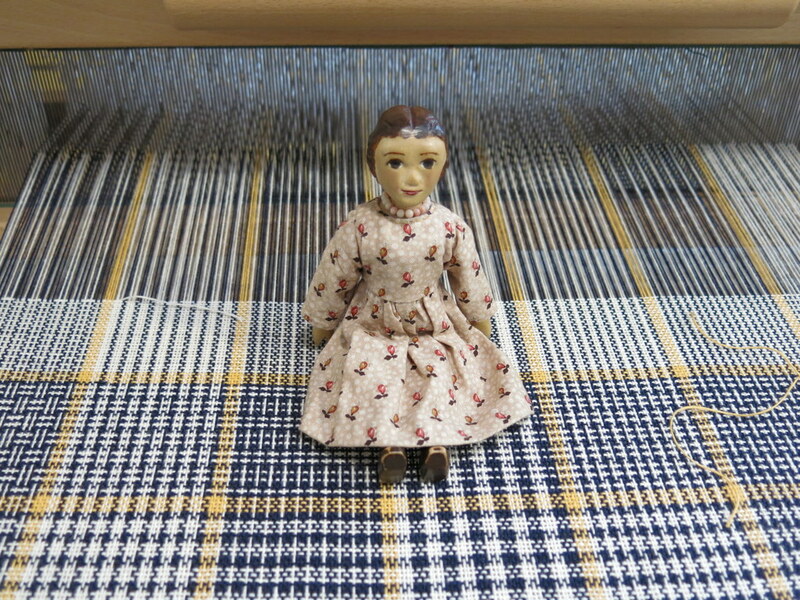 We enjoyed weaving it, and can’t wait to see it off the loom. I have discovered that I prefer the balanced ones best in this colour combination! Enter your email address (it will not be public) to follow this blog and receive notifications of new posts by email.